Being perfect isn’t all it’s cracked up to be. Can you imagine my face when I came across this? 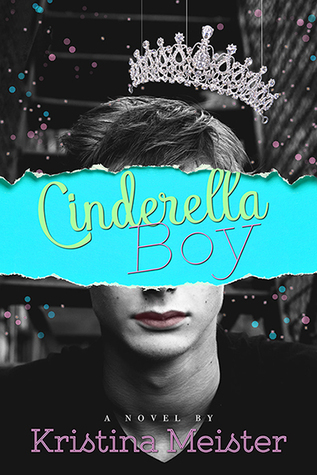 Cinderella Boy? That equals a Cinderella retelling, but LGBTQIA+? I don’t even want to try and describe my reaction but there was screaming involved – and maniacally clicking the request-button. Did it live up to my expectations? Did it blow me away? Keep in mind that this is not an #ownvoices review. Should I say / mention anything that’s incorrect in whatever way, feel free to let me know so I can edit my review accordingly. Let’s start with the thing I loved first and most throughout this entire novel. Our main character, Declan / Layla, identifies as non-binary, gender-fluid. That, simply that alone, already made me love this book before I had finished two chapters. And that’s not even mentioning the way it was executed. The costume was finally gone, and the true soul set free. As for the writing, chapters switch between Declan’s/Layla’s point of view and Carter’s. I loved how we got insight in both characters. It added so much to the story to see Declan’s struggle, coming to terms with himself and figuring out his life all while Carter’s point of view showed us how he was falling in love, how he was struggling to earn Declan’s trust but kept trying anyway. Oh, and Carter cooks. Like. Hello. Both these beautiful characters stole a piece of my heart. I was rooting for them like no tomorrow. It’s honestly been a while since I found myself rooting so hard for two characters in a book. Declan and Carter are my babes. I love them. That’s not even mentioning Chloe, Delia and.. well.. others! Simply going to say I absolutely adore the support system Kristina Meister created for Declan. I wish everyone had one like it. The school’s policy of intolerance. Now that is worth mentioning. It added so much to the story, bringing together characters who maybe wouldn’t have met otherwise. Not to mention it was simply brilliant seeing peers standing up for themselves. Like, we need things like that in real life – and I’m sure they’re happening, but.. there’s still way too much oppression; not only when it comes to sexuality. The point is, integrity means strength, fortitude, like a wall with no weaknesses, a building with a solid foundation. If you’re going to have it, you have to have it in rain or shine, easy or hard, under pressure or in relaxation. Sure, it has to be said. Event-wise there’s stuff happening. But the main focus was still entirely on Declan, Carter and the way they were growing into the people they were supposed to be. I absolutely loved this. I didn’t need more. I simply needed those two and for them to be okay. It read so fluently too! The combination of my utterly and completely being invested in their story and Kristina Meister’s writing… I couldn’t stop reading, people! I don’t have anything bad to say; simply that the only thing I’d change would.. be.. the epilogue. And I’m not even saying why. I’m just leaving it at that. Ha. Oh, and I’m adding that I actually pre-ordered myself a physical copy of this book – which releases today. Just saying. Although Cinderella Boy is a very loose retelling of Cinderella, it’s absolutely gorgeous. The queer characters pulled my heartstrings at every turn. This book gave me hope; hope that maybe, hopefully, one day the LGBTQIA+-community will be accepted. Because we deserve to be accepted. We. Do. How do you feel about queer retellings? Have any recommendations? Or other LGBTQIA+ books I haven’t read yet but should? All quotes were taken from an unfinished copy and might differ from the finished one. Next ›TTT: Let’s make a RAINBOW OF BOOKS! Great review, Kathy. This definitely sounds like a book that I would be interested in. I might save it for if you do Diverse December again, or if you don’t, then it could be one of my reads for GLBT Book Month next year. Sweet! I can’t handle doing monthly challenges every single month, but a few a year works for me. Right now that means Middle Grade March, GLBT Book Month in June, and Diverse Dececmber. I haven’t but I’ll have to check it out! What a great read! I always love to read about different perspectives in books that are also just plain good books, so this sounds like a winner to me! Definitely a unique / different book!